Home » Blog » Your Local Lake Forest Movers – Federal Cos. Your Local Lake Forest Movers – Federal Cos. 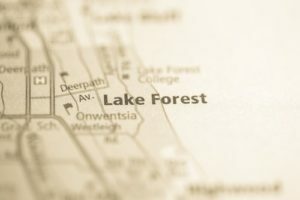 Located along the scenic Lake Michigan shoreline, the city of Lake Forest is known for its excellent schools and affluent communities. There are numerous opportunities for Lake Forest residents to enjoy the history and landmarks of the area, and both young families and professionals alike choose to build their lives and homes here. However, it’s a simple reality that moving any size household can be a major undertaking, and having a professional team of Lake Forest movers on your side that understand the ins and outs of the region can make all the difference. For over 100 years, Federal Companies has been the most trusted moving company in Lake Forest, and we’ve seen it all! We’ve helped thousands of residents over our long history with planning and executing household moves, and there’s no job too big or small for our local movers. Best of all, our experienced crews understand all the nuances that come with making a move to this popular region, and we can help you choose the ideal services and support you need to make an easy transition to your new home. Regardless of the size or scope of your moving project, Federal Companies has the experience and expertise you need to get the job done quickly, efficiently, and affordably. Even if you are moving out of the local region, our Lake Forest movers can help you with all of your long distance relocation needs. We also offer secure and flexible storage solutions if you are trying to clear out some space in your home or need some extra time before your belongings arrive at your new residence. If you want to get the best of both worlds, Federal Cos. can even help you customize a combined moving and storage plan for the ultimate in a stress-free moving process! Whether you are moving within the borders of Lake Forest or clear across the country, Federal Companies has got you covered. If you would like to learn more about the exceptional services and benefits we offer our valued customers, just give us a call or fill out our online form to schedule a free, no-obligation estimate.